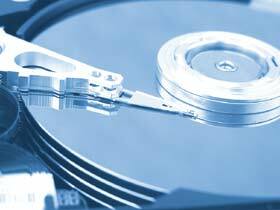 One of the most important parts inside your computer / laptop is the Hard Drive. Sometimes people run out of space, and so need either a bigger hard drive, or an additional hard drive. Hard drives can either be installed permanently inside your 'desktop' PC, or as a portable 'external' drive outside of your computer / laptop. There has been a gradual change to Solid State Drives (SSD), as these have no moving parts and perform much quicker, but are more expensive, than traditional mechanical hard drives. Always have a Backup as this part contains moving parts, so one day it will fail.